If only Yoga lived up to even 1% of its claimed benefits, what a different nation India would have been….many tourists to India have often wondered. And for good reason, as you will discover. But for now, here is something that will surely pique your curiosity! United Nations General Assembly has declared 21st of June as an International Yoga Day on 11th of December in 2014. 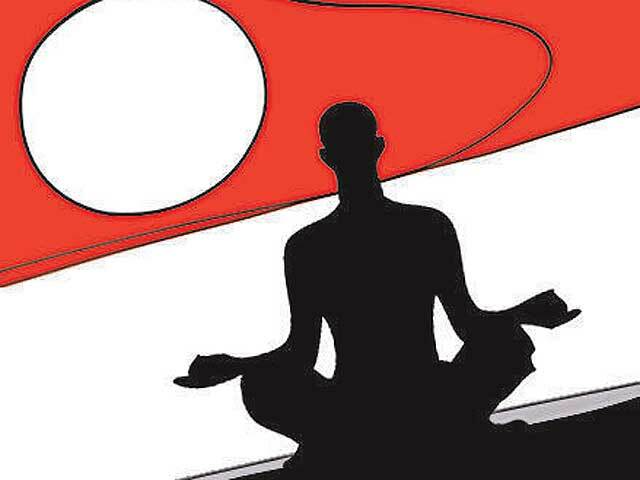 Narendra Modi has said during his address to the UN General Assembly that “Yoga is an invaluable gift of India’s ancient tradition. It embodies unity of mind and body; thought and action; restraint and fulfilment; harmony between man and nature; a holistic approach to health and well-being. It is not about exercise but to discover the sense of oneness with yourself, the world and the nature. A look at India would make us wonder, how on earth does he have the guts to make such tall claims? Restraint and fulfillment? Harmony between man and nature? Yoga has been practised for centuries in India. Where rivers are treated as dumping grounds for all sorts of garbage, sewage and even dead bodies. Where forests are being destroyed, mangroves reclaimed, the air and water polluted. So what is this Yoga? There are many more people making tall claims for Yoga. Now think of the state of the majority of the people in the world. Does he mean to say that they are not sane, sensitive, sensible, strong or intuitive? Or let us take the other side of this. What has Yoga done for India? How many would look at India, the place where Yoga was founded, and say Indians have that much needed peace, and exemplary behaviour, thought patterns and attitudes? India is one of the most corrupt countries in the world, and also considered backward in hygiene, health, equal rights to minorities, women and children, and even in sports. A mere look at the Olympic Medal tally of India will reveal what this so called Yoga has done to help Indians achieve superior physical strength, stamina or health. So in terms of peace of mind, values, ethics, or in the more measurable physical health, yoga has not been of any use practically to the countless millions of Indians. Then why is it being propagated? That is a good question, that the Prime Minister and the present right wing Indian government should be answering. I believe there are deeper spiritual reasons why Yoga is being propagated. Yoga promotes the pantheistic world view that everything and everyone is god, and the aim of Yoga is union with this so-called force or god. Is this logically, scientifically and factually true? Ofcourse not! The Creator, whom we would call God, is not a force without any personality or feelings! He is a person, and that is why He made us humans in His image, and He shows us His love. A force or the god consciousness to which Yoga proponents would have you unite, it cannot and never will love you! The Judaeo-Christian world view clearly states that God is the creator and everybody and everything else is created by Him and distinct from God. The very first temptation faced by humans [Genesis 2-3] was to be like God himself, the very same thing offered by Yoga. Of Course, God was displeased by this heresy and had to punish Adam and Eve, but He [out of His immense love for us] also made a way for us humans to be restored back to a relationship with Him, through repentance and faith in the finished work and atoning sacrifice of Jesus Christ, God who became a man to take on Himself the punishment due to us for our sins. Yoga and its spiritual philosophy tries to deny that we humans are sinners, separated form the God who created us. This is nothing but the lie that satan used in the garden with our very first parents. Another area of concern in yoga is the concept of emptying the mind, which is contradictory to what Christianity teaches. As Laurette explained, “We are transformed by the renewing of our minds, not the emptying.” Emptying the mind leaves it open to other spirits to take control of the person’s mind, and that is what often happens. So please be wise before accepting anything. There can be dangers far worse that you could have imagined. http://www.praisemoves.com/ offers excellent and spiritually safe exercises without exposing you to mind emptying spiritual dangers.